YJR Trading has been very successful since it started operations in January 2010 for the following reasons. YJR Trading can supply all type of lubricants in more than 700 ports around the world. In short, we understand our customer needs. 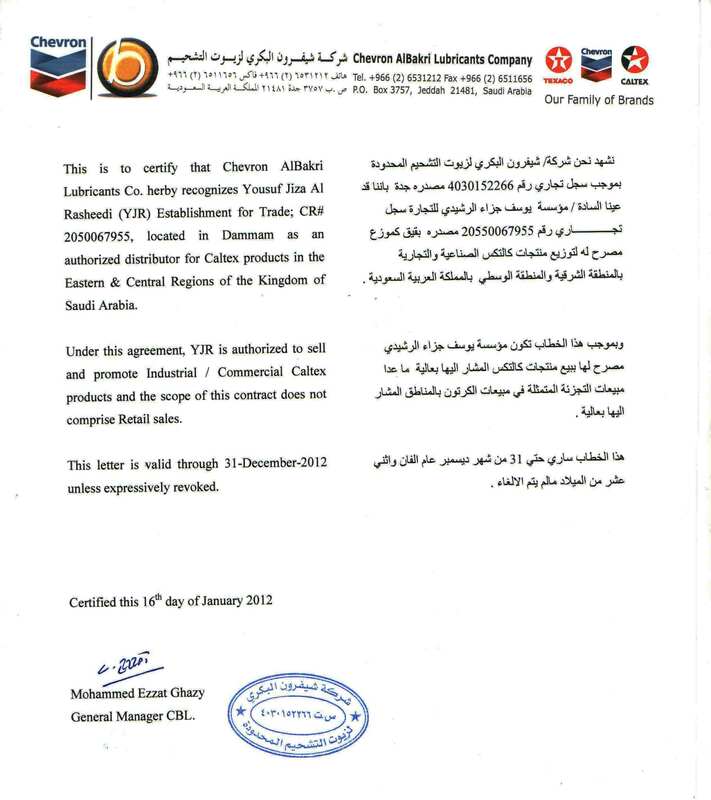 We are very flexible with own stocks of all type of lubricant Products in the Saudi Arabia, UAE and Oman and we are working on long lasting customer partnerships. We are committed to our customers 24/7 and we guarantee Top Products combined with Top Service at competitive prices. Copyright © 2014 YJR Establishment for Trade.